Take this wonderful chance to to purchase Transformer items such as toys and bags at very low prices. Don’t forget to use the latest voucher codes to save money on your purchases. You can get them at your favourite UK retailer including The Entertainer, Argos, and ASDA. Special offers are up for grabs so don't waste this opportunity to purchase items at affordable prices. Our team of enthusiastic bargain hunters has updated the list of the cheap Transformer deals just for you. Get as much as 35% off on selected items. Transformers Risk Board Game Reduced from £19.99 to £12.99! 5 x Wilkinson Sword Hydro 5 Transformers Razor worth £54.95 for only £6.94!! All the best Transformers toys for sale! Transformers is a line of mecha toys rebranded from the toy lines of Microman and the Diaclone of Takara. The franchise started in 1984 and it focused on self-configuring modular extraterrestrial robotic lifeforms set on a civil war. 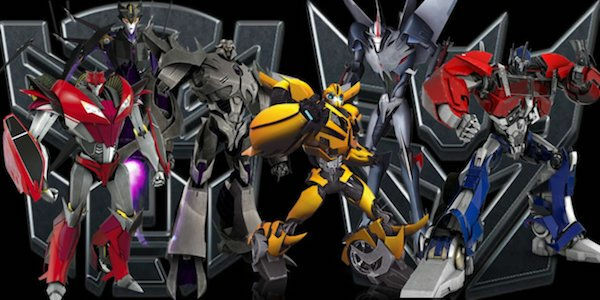 From its history, the franchise of Transformers robot superhero has been seen in various formats such as comic books, animation, films and video games. When it comes to toys, Transformers are really popular. They skyrocketed in the market ever since they were launched in the 1980. In 2007, it-regained its hype again because of the release of the movie. One of the reasons why Transformers is well-liked is because they can do more than the typical, most especially as far as toys are concerned. They portray role playing action scenes that stage battles involving good Autobots and bad Decepticons. These are all crucial when it comes to imaginative and group play. Transformers is a classic series well-loved by many across the world. If you’re a fan looking for the best cheap Transformers toys UK deals to add to your collection, you’ve come to the right place. Here at Latest Deals, you can take advantage of Transformers toys for sale including Optimus Prime Transformer toy, Transformers Prime toys Bumblebee, Transformers car toys, Transformers robots in disguise, Transformers set, and so much more. 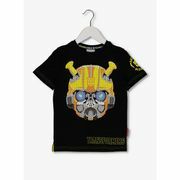 There are even Transformers merchandise UK offers such as clothing, backpacks, mugs, and so much more that you can give as a gift for both kids and adults. We have community of bargain hunters who are always on the lookout to find the best Transformer deals, sale, special offers, discounts, and price drops from major UK retailers. We also have a team of money-saving experts who regularly share essential tips and tricks that will be able to help you save on your instore and online shopping. 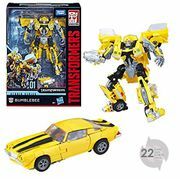 Majority of online UK retailers have sale events, seasonal clearances, and flash sales where you can get up to 50% off on on a wide selection of Transformers merchandise. They also have 3 for 2 offers you can take advantage of for more savings. Watch out for their Black Friday and Boxing Day deals where their prices are reduced even further. If you want to maximise your savings, make sure to use the latest Transformers discount codes we have here. We also have Transformers voucher codes where you can get freebies or free shipping. Transformers Thrilling 30 Deluxe Wave 11 Case of 8. This is in celebration to the 30 thrilling years of Transformers. These figures are meant for the commemoration of the heroic saga of the mightiest robots of the galaxy. These Autobot and Decepticon warriors have gained power from 3 decades of camaraderie, dedication, and intergalactic combat. Expect 8 parts of this collection such as 1 Scoop Figure, 1 Waspinator Figure, 1 Windblade Figure, 1 Nightbeat Figure, 2 Chromia Figures and 2 Arcee Figures. Power of Primes Predaking. This set has 5 Voyager Class Predacon figures - the Headstrong, Divebomb, Torox, Razorclaw and Rampage. These 7-inch scale figures are converted from robot to beast and they are combined with the Predaking figure. Thus, the combiner is of 18 inches tall. They have the Onyx Prime Master figure that has the Onyx Matrix accessory. The Predaking can exert power beyond your imagination here. Masterpiece MP-11NT Thrust. Thrust is dubbed as the original coneheads. It has really became a part of the Takara’s Masterpiece lineup. Own this and enjoy the features for G1 design which is obtained from the television series. This collectible has multiple points of articulation which can be transformed to a fighter jet. Once in the jet mode, the cockpit is most likely to open. As a matter of fact, it can fit a hologram pilot figure inside of it. The wings can also offer vertical rise fans and even anti-aircraft missiles too. Masterpiece Shattered Glass Optimus Prime. The figure goes with a purple armor and a windshield panel that is bound to look cracked. It is also advanced in conversion. This means that you can make the figure from a robot to a tractor-trailer which is done in 21 steps. The pack offers an Energon axe accessory too which is the Matrix of Leadership. This is also a trailer which can convert a combination combat of deck and repair bay. Masterpiece MP-11ND Dirge. This is a member of the Destron Corps that scares the Autobots and Decepticons - a Dirge. The Dirge incorporates the design of the G1 toy which was from the animated series. It goes with a freshly-assembled front wing and realistic jet including air brakes and engine block covers. There is also a 3 under-wing mounted missile, a collector card, a clear pilot and instruction manual that you will surely find useful.